Cured Proscuitto ham: pork leg, salt; preservatives: E252, E250. Milano salami: Pork, salt, dextrose, natural flavourings, spices; acidity regulator: E325, E262; antioxidant: E301; preservatives: E250, E252. 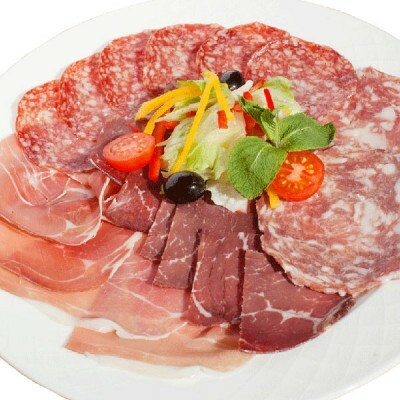 Cured coppa: pork neck, salt, saccharose, dextrose, spices, flavourings; preservatives: E252, E250; antioxidants: E300, E301.